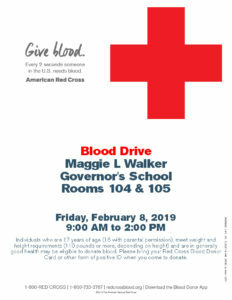 Blood Drive at Maggie L. Walker Governor’s School on Friday, February 8, 2019. We need you! 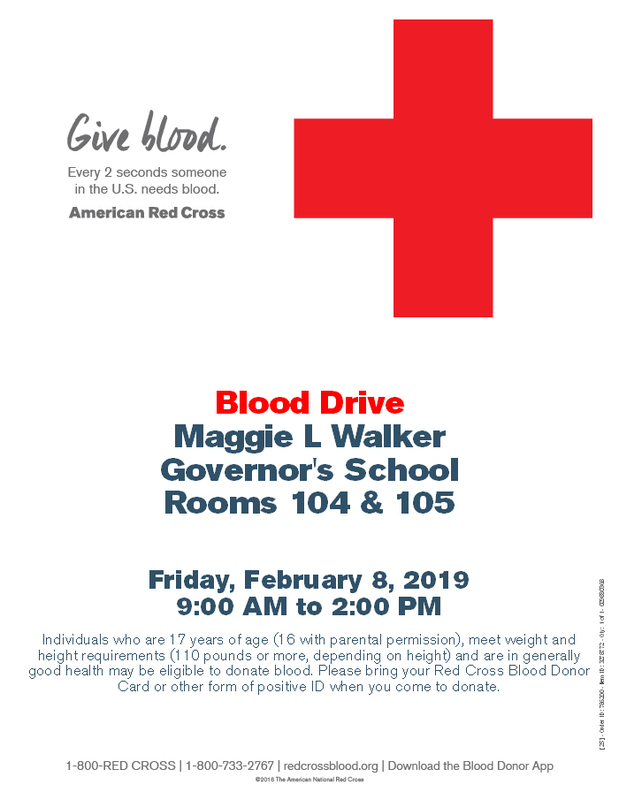 Blood Drive at Maggie L Walker Governor’s School on Friday, February 8, 2019. Must have your ID with you, and a signed permission slip if you are 16. 17 and older just picture ID.